Google Reader won’t be available after July 1st, 2013. What does that mean to you? Well, for starters, for those of you who may be unclear what an RSS Feed is, RSS stands for Really Simple Syndication. Basically, it’s a method of delivering your latest blog posts to readers who choose to subscribe. Now, there are two ways to sign up for this delivery. You can either sign up to have an RSS feed delivered by email or you can subscribe to have it delivered to an RSS reader. 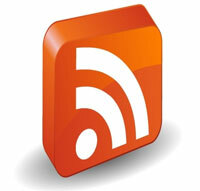 If you currently use Google Reader to access RSS feeds, you need to find an alternative. You’ve probably already read one of the numerous blog posts that have been recommending RSS readers. If you’re interested in reading one more, LifeHacker.com conducted a poll to find out what people considered to be the best alternative to Google Reader. The Five Best Google Reader Alternatives (according to their reader nominations) include: The Old Reader, NewsBlur, Feedly, NetVibes and Pulse. Of course, there are many more than five alternatives and some people are passionate about this topic. When I last checked, this article had 100 discussions going on in the comment section for that post. Perhaps one of the more surprising efforts to replace Google Reader is by Digg who is promising to build a functionally complete replacement including an API (Application Programming Interface) which would enable developers to build Android and IOS apps to interface with it. (You may want to consider waiting for this one.) Digg has asked anyone who is interested to “pitch in your thoughts”. So, feel free to join in that conversation or simply read the thread for more insight. Although Google has not officially announced that they’re discontinuing FeedBurner (Google’s service that generates an RSS Feed for your blog), the writing is pretty much on the wall. Most bloggers believe that at some point, it will be gone. Once again, there have been numerous blog articles recommending alternatives. Okay. You’re probably wondering why I’ve told you all this and haven’t yet explained why I’m recommending that you don’t delete your FeedBurner feed when/if you replace FeedBurner with another service. Well, today, I received an email from FeedBlitz (one of the services that I am seriously considering) and they go into lengthy detail of why deleting your FeedBurner Feed is a bad idea. Your existing RSS feed will be deleted after 15 days. RSS subscribers (who don’t update their RSS reader) will stop getting your latest posts. You will lose your old FeedBurner links. You will lose your old FeedBurner analytics. Over to you: What are your thoughts? Do you use an RSS reader? What do you use to burn your RSS feed? Did you realize that by deleting your FeedBurner feed, you’re releasing your FeedBurner URL and someone else could start publishing to it (and readers who didn’t update their subscriptions would receive it)? Could you please help me? My friend & I are terribly newbie bloggers, and very un-techy, so getting our blog up & running is challenging at best! The terms “email subscription service” & “RSS feed” are being thrown at us from many angles. At this point our blog is barely off the ground, so I don’t want to go with Feedburner, and then have to rebuild when it goes bye-bye. So what do we actually need for a WordPress blog? Is WP Autoresponder adequate, and will it do all of this, or do we need multiple things? Sorry to sound like such an idiot! Truthfully, I’m riding the Feedburner horse until it crashes and burns or until Google says they’re taking it away. I know it seems like an inevitability but I’m taking my chances with it because, after all, Google also sends out RSS feeds and they’d have to switch to something as well, right? Meanwhile, I use a standalone product to subscribe to feeds, even though it seems most people would rather use their browsers to do it. I’ve been using it for 5 years or so; I’m happy with it & it’s not going away and is free. It’s always nice to see you here! I’ll probably wait until the last minute to replace Feedburner too. (I do my best work under a deadline.) You make an interesting point about Google sending out a feed too. Maybe it’s just a rumor. I have been using feedburner from quite sometime now. My main worry is my email subscribers. Do you think they will also be moved onto the new system without a hitch? It’s very simple to export your subscriber list from FeedBurner. The downside is that most of the services (if not all) that you import it into require that the subscriber opts in again. So, we’re bound to lose a few readers but the opt-in is in compliance to the new anti-spam laws. Feedburner is a great service that helps bloggers to leverage from RSS feeds for different purposes. Blog subscription is one of the best feature. I love the analytic that comes with Feedburner, which lets you know who subscribed and which posts are getting more clicks etc. It’s better than your wordpress default RSS feed for all those great features. Thanks for the link Sherryl. I have been using FeedBlitz for a while now, so if you have any questions, please feel free to contact me. I recently wrote a 11,000+ word review on the service that covers most features of the site. It’s not a perfect service though it’s certainly the best out there for tracking RSS subscribers. Great Kevin! Thanks for the offer. I’ll have to look for you post. It’s the sort of content that I like to share. I think I can live without Google Reader. I will continue using it until they close it. I will also continue using Feedburner. If they do decide to close that one I will most likely just use the default WordPress feed instead. I don’t think that I get enough use out of either Google Reader or Feedburner to justify paying a monthly fee for an alternative at least not at the current time. It is too bad that they are closing Reader though. Sounds like you have a plan that will fit your needs Ray. FeedBurner may be with us for a long time. No one knows for sure yet when or even if they’ll discontinue it. It is too bad that they’re discontinuing Reader but we’ll adjust. Thanks for taking the time to join the conversation. Hi Sherryl, Like you, I am still using FeedBurner. It’s still working so why not keep it? Usually when Google ends a service they give us plenty of time before that happens. If and when they announce the end of FeedBurner, I will make the switch and will come back to this article to figure out what to do! Carolyn recently posted..Hang w/ – Who Knew the World Was This Much Fun? I tend to lean to the “if it’s not broken – don’t fix it” method myself. I figure that the longer we wait, the more choices we’ll have and the more we’ll know. Thanks for weighing in on this. Sherryl, I’d like to know if I can somehow forward my Feedburner feed to the default feed for my site. Is that possible? I honestly don’t know. I quickly researched this but I couldn’t find an answer. Maybe someone else here can answer you. I’ll let you know if I learn anything about it. Good article Sherryl. Have only used Feedburner to enable readers so subscribe. Agree with Susan and Roberta that it’s unlikely Google will just remove Feedburner without replacing it with something else. After all, like Susan says, millions of blogs are using it. Will Google really disappoint such an amount of people? Catarina Alexon recently posted..Are you tweeting your investors? Thanks Catarina. I’m glad you like it. I honestly would not be surprised if Google discontinued FeedBurner and did not replace it. There will be plenty of other vendors to fill the gap and probably do a better job. Time will tell. I switched to Feedly and like it better than Google reader and it makes it simple to transfer from reader. I still use Feedburner and although it will probably go there are millions of blogs that use it and some are big publishing sites so I am not sure what Google will do. I looked at Feedblitz but I will hold off until it is certain Feedburner is closing. Susan, I’m very liable to hold off on Feedblitz until Google announces the end of FeedBurner too. That seems to be what I’ve been doing lately – adding to my to-do list while addressing whatever has a deadline. Sheryl, I guess over the years I have learned that if Google changes something, perhaps that change is an indication of something bigger. Maybe RSS feeds, which I have but see no value in, are changing. Perhaps Google is looking at something new that will change the distribution forever. It’s been a while since I’ve used MailChimp and I used it for a newsletter not to send out my blog posts. Do you know if there’s a way to automate it? You can automate your delivery of blog posts via email with MailChimp much the same way you can with a Newsletter. The option exists to create an RSS-driven campaign. From there, the user can customize the email with colors to match their blog’s theme, as well as add a sidebar. Then reports are available on how many of the emails were opened as well as the number of clicks each link received. That’s good to know Jeri. Thanks for getting back to me on this. I’m sure others will find that helpful too. Sherryl — thanks for this analysis and the options to Google Reader. I haven’t used Feedburner in quite a while because I found it to be unreliable. It seems pretty obvious it’s going to disappear sooner than later. I use Aweber as my autoresponder and, of course, my goal is to get more email subscribers. Many readers are wedded to readers but the fact is the majority of people subscribe to blogs by email and not readers. I wouldn’t want to lose my RSS subscribers so I’ll figure something out. Feedburner seems to have served me well so far. So, I haven’t made it a priority to switch from it. I’ve been seriously considering switching to Aweber myself. It seems like there’s always something that needs to be done! I had all the subscriber confirmations from my previous autoresponder (Get Response, be warned, not good) but Aweber wouldn’t accept them. They insisted that all my subscribers opt-in again. I lost a lot that way but they were probably the ones who weren’t interested anymore but didn’t take the initiative to unsubscribe. So just a caution that if you switch to Aweber, which is a good service, you will need to have your subscribers opt-in again. Thanks for letting us know about the need to opt-in again. I believe that a lot of the mail services require that. I simply switched plugins once and was faced with the same issue. I agree completely with you about Get Response! I built a site for a client who was insistent on keeping them for their autoresponder vendor. I created a form and put it in the sidebar using the Get Response WP plugin but I could never get it to work properly. It would just pop up randomly. It didn’t bother my client but it annoyed the heck out of me. Good for you Susan for getting this done already Thanks for letting us know! I use reader through my “reeder” iPad app. I’ve moved all my blogs over to feedly and bloglovin too but I haven’t started using them yet. I like reeder too much, so ill use it to the bitter end. Sigh. Like you I’m planning a move over to feedblitz, but it sounds complicated and just looking through the migration manual makes my head swim. Ill be doing baby steps on that one for sure! But it will happen eventually. My goal is for my blog to be google-free by the end of 2013. They’re just not trustworthy. The documentation may seem a little overwhelming but it looks pretty thorough to me and there are lots of screenshots.I’m sure you’ll take your time and work through it. I signed up for Feedly, but truth is, I still use Google Reader, for now. I also put a MailChimp email subscription service on both my blogs. I will miss Google Reader. Never did use Feedburner. I don’t even use an RSS reader. I used to and since my email is getting out of control again, maybe I should start using one again. Thanks for letting us know what you use Leora. I’m surprised to hear that you don’t give your readers the opportunity to subscribe to your RSS feed. I would think it would help increase traffic and the number of comments that you get. It’s so easy to set it up and then forget it. Previous post: How Do You Avoid Keyword Stuffing on Your Website Blog?